Sunday afternoon, December 7, 2013 Sara and I thoroughly enjoyed attending the very first West Bay Opera Gala, held at the Menlo-Atherton Center for the Performing Arts – also a first. In his introductory remarks, General Director José Luis Moscovich said that nowadays the third repetition of an event establishes a tradition, and he hoped that this was the first of those three. I heartily agree. 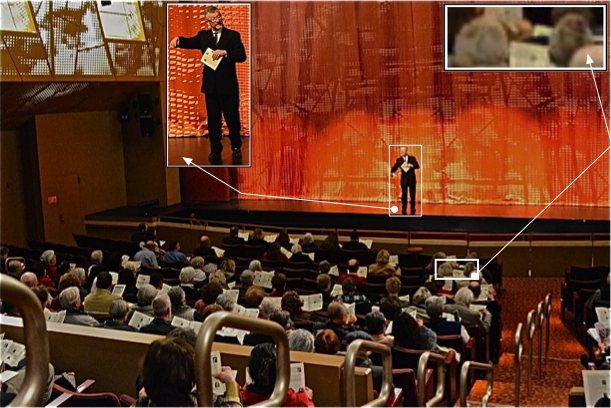 The purpose of an opera Gala is two-fold: to raise money for the opera company, and to offer a bonus entertainment for its loyal supporters. To this end, members and patrons of the company contribute a great deal of time and energy. Singers, instrumentalists, support crew, and venue are all donated. If an auction and/or raffle is part of the Gala, all items are donations from neighborhood businesses or individuals. As a result, all proceeds received from ticket sales and donated items go directly to the opera company’s operations budget. Although this Gala was a first for West Bay Opera, it was not the first local opera Gala in the Bay Area. Last month I went to the Lamplighters’ Gala, which was fantastic. They’ve been putting on a brand new show each year in San Francisco for many years, but this was the first time they brought it to Mountain View (and hence the first time I had seen it). It consisted of a two-act parody of Downton Abbey with original dialogue and songs from Gilbert & Sullivan with original words. Music was provided by two pianos. 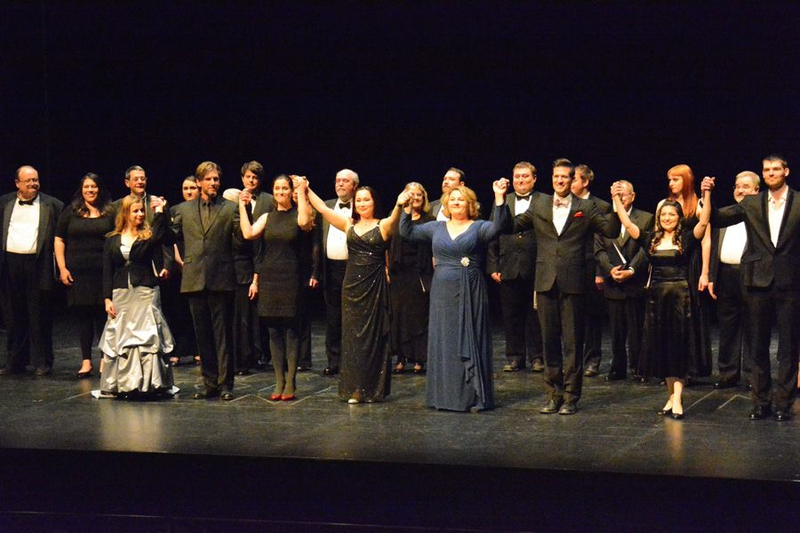 Pocket Opera has put on several Galas in informal venues, featuring a silent auction and a half-dozen or so operatic arias or duets with piano accompaniment and commentary by Donald Pippin. Fremont Opera produced a couple of Galas during its all-too-short existence. The complete program is listed at the end of the review. However since it will never again be performed as a program, there is no point giving you my opinion of each of the 16 selections. 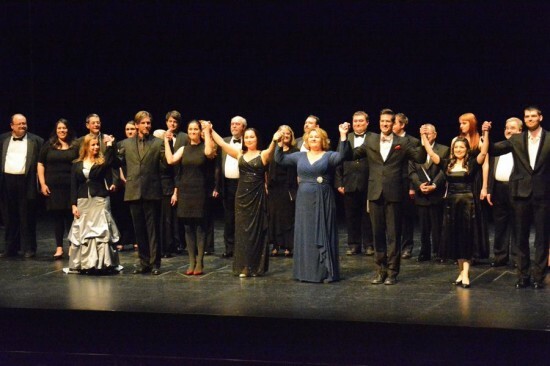 I was favorably impressed by the singing of every one of the 8 soloists, but I want to mention three sopranos who particularly caught my attention. Chelsea Hollow gave a delightful rendition of Olympia’s Doll Song from Tales of Hoffmann, a role she had covered for WBOpera last year. Her soprano voice was clear and true singing the nonsense syllables, and her jerky arm, torso, and neck motions fit the role perfectly. 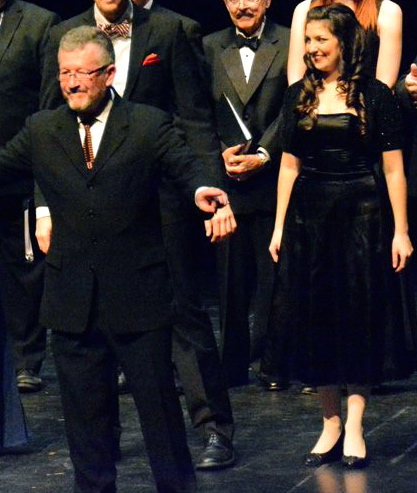 Two other recent soprano understudies also gave outstanding performances. Like Chelsea in Hoffman, Elisabeth Russ was the understudy for the star Rochelle Bard, in a recent WBOpera production – this time of Lucia di Lammermoor. She nailed it cold. And by cold, I mean: she did not have a dramatic entrance in a blood-stained dress; she did not come fresh from previous scenes of being brow-beaten by one man after another – no, she walked on stage in her simple evening dress and did it all with her own voice. Most impressive. 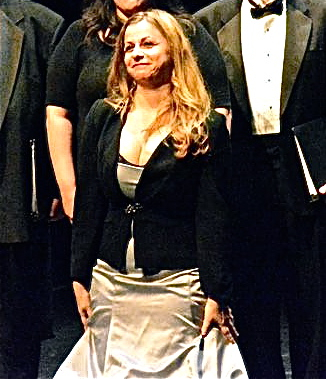 Finally, Diana Sintich sang two of my favorite numbers in all opera. In Act I she teamed with mezzo Catherine Cook in a beautiful rendition of the Barcarole from Tales of Hoffman. Midway in Act II she did full justice to Desdemona’s Willow Song, having been understudy to Cynthia Clayton in last May’s production of Verdi’s Otello. Every time I hear that haunting melody I get goose bumps. Do you wonder that I rave about WBOpera’s casts? When sopranos of this quality were only understudies during the regular season! Speaking of the regular season, you’ve already missed an outstanding performance of Tosca, but there are still tickets available for Elixir of Love (February 14-23) and The Magic Flute (May 23-June 1). See you there? All photos by Rudi Mui – arrangement and cropping by Philip Hodge. Note: There was no dress rehearsal, and photography was not allowed during the performance. This review by Philip G Hodge appeared in sanfranciscosplash.com on December 15, 2013. 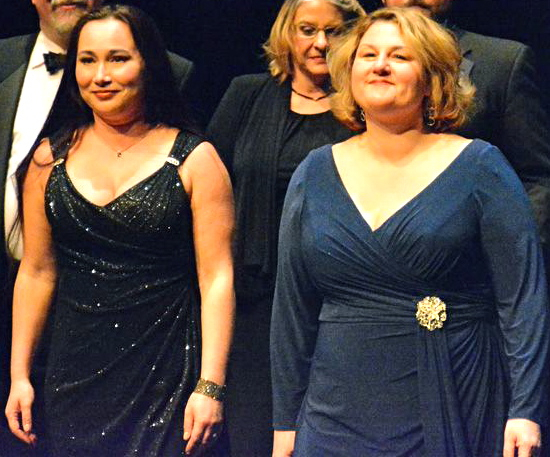 This entry was posted in Other Review and tagged Gala, West Bay Opera. Bookmark the permalink.